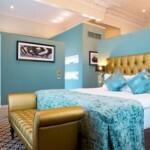 Cotswolds88 Hotel. Cotswolds goes hip. 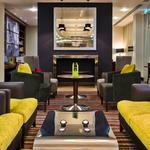 22/08/2013This entry was posted in England, Europe and Middle East, Hotel Reviews, The Cotswolds, United Kingdom and tagged Best Cotswolds Hotel, Cotswolds hotel review on 22nd August 2013 by Andy Mossack. 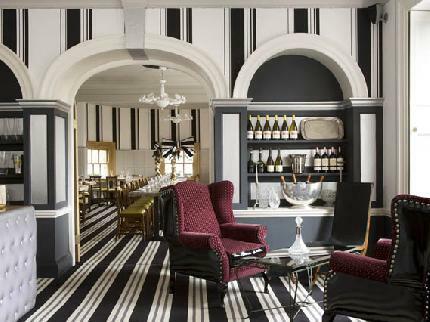 Step into Cotswolds88 hotel, set in the beautiful village of Painswick and you’d be excused for thinking you’d just stepped off the London Overground into East London’s hippest new joint. From outside the hotel, the design is very much in keeping with the local area, complete with traditional cream Cotswold stone. But, as you walk through the front door, you’re transported into a fantastical world resembling a cross between Versace’s bedroom and Alice in Wonderland. Designed by the extravagant Marchella De Angelis who masterminded the Loungelover bar in London, the hotel is a celebration of the extraordinary; boasting snake-skin tables, leopard-print sofas, PVC chairs and chrome mannequins. And that’s all before you get past reception. 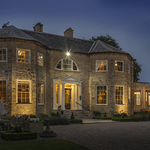 The hotel is home to 17 uniquely themed bedrooms boasting exceptional views of the Cotswold Hills. From standard ‘rooms with a view’, to three luxury suites with sumptuous jacuzzi baths and super-king size beds, there’s plenty to impress even the maddest of hatters. All rooms come with a selection of Moulton Brown bath products and a DVD player complete with full film library on request – if you can take your eyes off the view from your window long enough, that is. If the views aren’t enough to get you springing out of bed in the morning, the breakfast certainly will be; an expansive buffet including homemade muesli, fresh berry compote, local cheese and cold meats awaits. If you still have room, pick from a hearty selection of hot breakfast favourites. 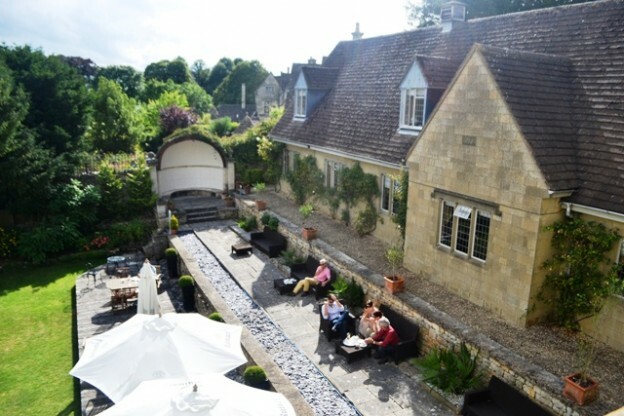 After a day of exploring the breath-taking Cotswold Way and enough time in the Jacuzzi bath to ensure my skin resembled that of a raisin, we made our way down to the Juniper restaurant to sample the creations of Head Chef, Lee Scott who previously rubbed shoulders with Gordon Ramsay. Lee’s dishes are like everything else in this hotel; anything but ordinary. Lee brings together locally sourced ingredients to create some unlikely flavour pairings to delight your palette. To get us in the mood we started with a taster of crunchy but creamy arranchini with a parmesan twirl, followed by an amuse bouche of curried shallots and cumin cream with black onion. For starters we were treated to wasabi and feta pannacotta which was served with a chilled cucumber soup and horseradish snow. Following this, we sampled a summer truffle, pea and ham hock salad, and then for main course tucked into some of the most tender lamb I have ever eaten served with roasted artichokes, parmesan pomme puree, olive oil powder and green olives. 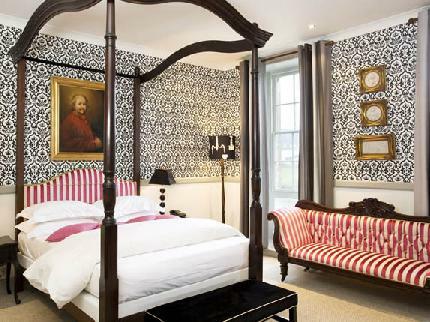 A quintessential English hotel this isn’t; but if you are looking for a taste of quirky London in the heart of the Cotswolds, look no further, tumble down the rabbit hole and let the adventure begin.